it really deserves to see"
Istanbul is a beautiful and ancient city: on the western side of its Bosporus Strait, its natural harbor is the Golden Horn. Europe and east Asia or Anatolia begin, and it is the only city in the world to span over two continents. Many empires and peoples ruled Istanbul and its old history is ancient and rich. It was the capital of the Roman Empire then and then Latin and was followed by Ottoman, but it was never fraught with some kind of sanctity with a prominent religious status. It gained religious importance for Christians after the Byzantine Empire embraced this religion, then became the capital of the Islamic caliphate and gained religious significance for Muslims at the time. Istanbul has a generally mild climate, although it is located between areas of ocean style and prevailed a Mediterranean climate. The summer is hot and humid and its winters is cold and wet and often snow falls. Istanbul's mornings are foggy almost every year, continuing until noon. The provinces of Ascodar and Chalcedon. Since Istanbul has historically been a fusion of cultures and ethnicities, one finds mosques, churches, temples, palaces, castles and historic towers, all of which are attractions for tourists and symbols of the central city. The beginnings of Istanbul according to legends, is an impressive story for a city. According to these legends, the establishment of the city began with the departure of the Byzantines from Greece starting from Megara in search of the establishment of a new city. The priest, Delphi, was in search of the place. The priest refers to the building of his city in return for "the land of the blind." As the Busens flounder in search of the place, he stopped at Saray Born today, and looked at (Khalkadon today) and said: "Why did these blind people build their city in that arid place, leaving such a beautiful place?" He was thinking and of course, remembering the words of the priest Delphi. Thus he finds the place where Istanbul is built. The Name Istanbul The city of Istanbul did not derive its name as expected from the Ottomans. It is older than that. Where a person's name is mentioned in Fattouh Al-Sham in the 19th century. As Istanbul son of Taymush, the king of Rome, ruled for four years during which he worked in the city's construction. But the completion if the city was carried by Constantine, who took over his place and called it his name. It is mentioned in the book of “Altanbeeh” by Masoudi in the tenth century the name of Istinibulin and there is other conflicting information related to the name of Istanbul. In addition to Istanbul, the city mentioned dozens of other names including Byzantines, Constantinople, Astana, Dar al Khilafa, Dar al-Sa'ada and others. Prehistoric and Byzantine Period The first settlement in Istanbul region was in “Tuba Fakir”, a hill on the Anatolian side, in the Bronze Age. Remains from that period, dating to 5500-350 BC were found. There are remnants of a port belonging to the Phoenicians in the suburb of Qadi Kui Khaldun. The head of Moda in Khaldun was the first site chosen by Greek settlers from Megara to be built in 685 BC, before Byzantines colonized the European side of the Bosphorus under the reign of King Bezas in 667 BC . Byzantium was founded on the site of an ancient port named Lygos , Founded by the Thracian tribes between the thirteenth and eleventh centuries BC, during their reconstruction of the nearby Semistra, mentioned by Palini the Great in his historical records. Today there are only some walls and buildings left in Lagos, near the Seralio point in Turkish, where the Tuppupo Palace now rises. During the Byzantine era, Acropolis was in the place of the present Tup-Quo Palace. After its alliance against Emperor Septimus Severus, the city was heavily besieged and destroyed in 196. The city was totally destroyed. However, the city was quickly rebuilt and restored to its former vitality. It was during the reign of King Busines who talked about his legend "667 BC" Building of Byzantium. When the Roman Empire took control of the city, it was briefly named Augusta Antonina by Septimus Severus. During the reign of Emperor Constantine I, the city was declared the capital of the Roman Empire. The city was named "Nova Rome". After the death of Emperor Constantine I in 337 AD, the name of the city was changed to Constantinople. The Period of the Byzantine Empire (extends from 324 to 1453) Its strategic geographical location was the attractive element of Constantine the Great. In 324 AD it was renamed Nova Rome, a New Rome, after a prophetic dream about it where he was called him to identify the location of the and make it the Eastern Roman capital for the Roman Empire, yet this name fail to gain popularity, and speedily the city was called, the city "Constantinople". With the fall of the Western Roman Empire, Constantinople (Istanbul) became the heart and capital of what was historically called the Byzantine Empire, where the largest churches in the world built, the “Hagia Sophia”. Istanbul was the administrative center of Eastern Rome. During this period, the architectural infrastructure of the city was developed and expanded in every respects. It has a horseshoe area of ​​100,000 m2 (Sultanahmet Square) along with ports and water facilities. Constantine, who built the Hagia Sophia as the world's largest cathedral in 360; changed the religion of the Roman Empire to Christianity and signed the first break with the West, which was condemned by the Roman pagan religion. The Byzantine Empire began with the death of Theodosius I. When Western Rome fell in 476, the vast majority of the population of the Western Roman Empire migrated there. Istanbul became the capital of the Byzantine Empire. In 543, the plague killed half of the city's population, and then Emperor Justinian rebuilt the city afresh. Its strategic location as a crossing point between two continents has played an important role in many political, cultural and commercial fields between Asia, Europe and North Africa, especially between the Mediterranean and the Black Sea. The main center of the Byzantine Orthodox Empire and the largest European city until it was captured by the Fourth Crusade 1204, but failed to remain under its control, and was re-occupied by Michael VIII by the Nekayen forces in 1261. Byzantium began to shrink gradually, until it was besieged by the Ottoman Empire in 1391. The Ottoman Empire Gradually gained control of the territory of the Byzantine state of Anatolia. They controlled the most important cities such as Bursa and Izmit, which constituted the eastern gateway to Constantinople, Gallipoli overlooking the Dardanelles Strait. They then expanded west of the city in Thrace and took control of Aderna, Thus they tightened the siege on the city and completely isolated it from its surroundings. Constantinople fell on May 29, 1453, in the hands of the Ottomans under the leadership of Sultan Mehmed II, nicknamed Fateh after its siege for 53 days, after complex military operations to bypass defense lines protecting the city from land and sea. After the Ottoman conquest, al-Fateh was transferred from the capital of the Ottoman Empire from Aderna to Constantinople, which became the name of Islambol (the city of Islam). This conquest was one of the reactions to the fall of Andalusia and the expulsion of Muslims and Jews from them and the demolition and conversion of mosques. A new phase in the history of the city has begun. The Ottomans were inspired by the Byzantine churches to build a special and distinct for their mosques and added the beacons and decorated inside with Islamic decoration. The Ottomans worked to restore Istanbul to its former cultural, economic and political status, and soon flourished again as an example of a rich and multicultural society. Istanbul became the capital of the Islamic caliphate in 1517 when the Ottoman Sultan Selim I declared a successor to the Muslims after he abdicated the succession of the last Abbasid caliphs in Egypt, thus reaching the peak of its periods of strength and prosperity, attracting thousands of rare talents in various fields of politics, commerce and various sciences. The legendary conquest was a milestone with the Middle Ages, and Istanbul was quickly developed by the Ottomans. It was built by many mosques around the city and every Sultan tried to master these mosques as a revival of his reign. Among the most important mosques in the city is the Grand Mosque in Istanbul, the Mosque of Bayazid, the Mosque of Sultan Ahmed, the Mosque of Al Fateh and the Mosque of Salim. The mothers and wives of the sultans had a great role in the construction of many mosques in the city. Hundreds of palaces, markets, schools and bathrooms were also built. Istanbul has become the largest city in the world where Muslims, Christians and Jews live side by side in peace. It has been transformed into a modern city through modern constructions such as bridges, “Qura Koy” tonal, railways, maritime transport within the city, municipal business enterprises and hospitals. With the fall of the Ottoman Caliphate after its defeat with the countries allied with it in World War I, Allied armies – at the end of war - occupied Istanbul and remained until the fall of the Ottoman Empire and the proclamation of the Turkish Republic led by Mustafa Kemal Ataturk, where they withdrew under the Treaty of Lausanne. The Era of the Republic Istanbul folded its page as a capital extended for 2500 years during the republic's reign on October 29, 1923. After the establishment of the Turkish Republic and the transfer of the capital to Ankara, the status of Istanbul weakened somewhat, but it changed in the forty-fifties of the last century. Roads, such as Taksim Square. As a result of the lack of interest in Istanbul, during the 1950s, many Romanian communities migrated to Greece, and Armenian and Jewish communities also declined significantly due to the massive emigration. Thus changed the composition of the population and transformed into labor districts. Istanbul became the capital of the republic for 2500 years during the republic's reign on October 29, 1923. 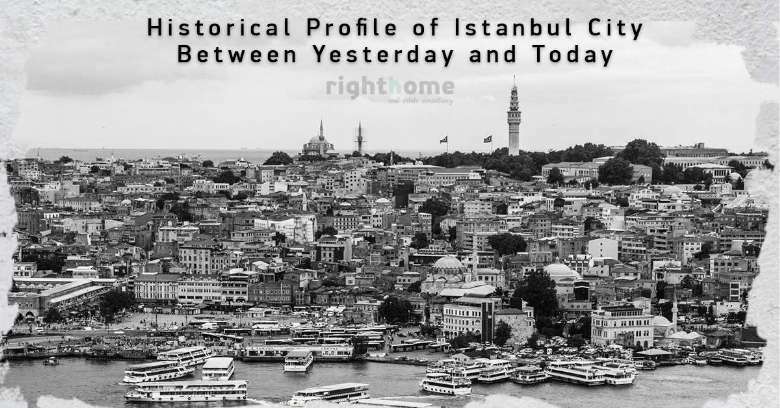 After the establishment of the Republic of Turkey and the transfer of the capital to Ankara, the status of Istanbul was slightly weakened, but it changed in the forty-fifties of the last century. Such as Taksim Square. As a result of the lack of interest in Istanbul and during the 1950s, many Romanian communities migrated to Greece, and Armenian and Jewish communities also declined significantly as a result of intensive migration. And thus changed the composition of the population and transformed into labor districts. In 1960 the government of Adnan Menderes sought to develop the country and cut the wide streets in the center of the city, which caused the destruction of many historical buildings and distorted the view of the old city and built many factories on the outskirts of the city which motivated the seventy Anatolians to migrate to work in these factories and live in the city. This led to huge rise in the population and sharp inflation, which also led to the construction of many buildings, mostly poor quality and consequently to the collapse due to the earthquakes that hit the city. Nevertheless, Istanbul continued to be the most dynamic and vibrant city in terms of economy and culture. The city of Istanbul, which has the greatest fortune in Turkey's urbanization of its young population, has become a city that has merged with the modern world in many areas. If the workforce, culture and tourism are mentioned, it will be the first city to come to mind. It was, however, was not at the same level as the historical and tourist city that is worthy of being the capital of a number of countries, and empires throughout its long history, owing to its central geographical position as the capital of the Roman Empire, the Byzantine Empire, the Latin Empire and the Ottoman Empire. Istanbul, unfortunately, was soaked in dirt that it could not be imagined, and the population was also suffering from poor water quality, street congestion, environmental and human pollution, accumulated debt, large financial corruption, and neglect of the historic heritage of the city. With its mythical city, to the extent that the city became like a patient on his deathbed. Istanbul Today With the start of AKP activity, Recep Tayyip Erdogan consider in his agenda the top of his priorities, when he said that his priorities are to reform the sewage system in Istanbul! when asked at a conference about his plans and future projects. The city witnessed a qualitative leap unprecedented in its previous history in changing its features at all levels, which deprived them so long. Through his program, and through popular support, Erdogan managed to achieve a miracle in Istanbul in a short period of time. After 100 days of assuming responsibility, he began to solve the most significant problems of the city. The problem of water pollution, which has long suffered from the population, was solved through the construction of the "sewer line", a huge water and sanitation management project, and a very large pipeline network for water and sanitation was built. In addition, Erdogan managed to establish the first wastewater treatment plant to avoid all collateral damage to the environment. One of the most difficult problems in Istanbul was the problem of the pollution of the Bosporus waters. Thus, a project for the retention of the Bosporus was envisaged through the construction of the "metal liquefaction and biological wastewater purification" line. Later in the improvement and development of the infrastructure, and the mobilization of tourism and energy, began to launch large-scale mega projects within the 2017 plan, most notably the project of the Istanbul Center for Finance, Istanbul III Airport, the Istanbul Canal, and a giant transport revolution, the number of tunnels increased from 50 tunnels in 2003 to 188 today. As well as bridges, which Bosporus Bridge, which was inaugurated this year, the largest. Along with the Osman Ghazi bridges in the Yalova region of northwestern Turkey, the Sultan Yawaz Selim in Istanbul, the Eurasia Tunnel and the Jnaq Qala bridge, which connects the Aegean Sea with the Marmara Sea in northwestern Turkey, over the Dardanelles Strait, The longest suspended bridge in the world, and parallel to the revolution bridges, the Turkish government looks forward to the completion of the opening of 41 tunnels with a total length of 68 kilometers. To join another 300 km of tunnels built over the past 14 years, thus allocating a budget of more than $ 138 billion. 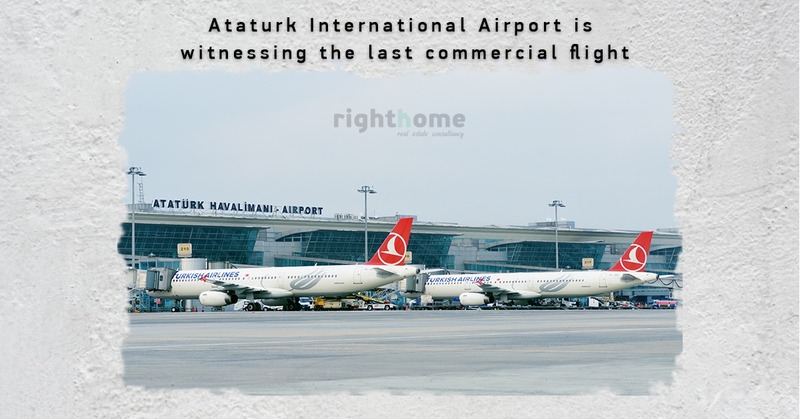 The choice of transportation and the development of roads, bridges and tunnels, in addition to air navigation, has been a priority for Turkey, which is expected to reap a lot of profits, as well as tourism and even political promotion. That the Turkish government set many goals in a clear strategy in preparation for the founding of the state in 2023. The Turkish government has invested $ 64 billion in infrastructure projects in the coming years. There are currently 3400 projects under implementation. Turkey ranked second in the list of emerging countries, the most investment in infrastructure in 2014, after Brazil, which ranked first. The "new city of Istanbul", to be built next to the Istanbul Center, is a simulation of Turkey's oldest city directly on the river, which is more than 8,000 years old. The city will include approximately 50,000 housing units, a shopping center and a car park. – stretches over an area of 6,200 m2, a 2.5 million m2 garden, theaters, cinemas, an ice skating rink and an airport that changed the city map to make the city the physical and cultural pulse of Turkey, and a city that attracts millions of tourists annually with its hotels, restaurants and shopping malls, Which cater to the wishes of tourists and travelers for both commercial purposes. In its distinguished position as a crossroads of the world, as a crossroads in Europe and Asia, and its history as a place of many civilizations, as a multicultural, multi-ethnic, and religious city, the city is today, with this momentum of the development activity of mega projects that the city has witnessed and will witness in the coming days, the "New Istanbul" project, Istanbul will become a giant cosmopolitan city. Today it has 39 cities, 25 on the European side and 14 in the Asian side. It has an estimated population of about 16 million, a city of 1,831 km2, while the urban area of ​​Istanbul occupies an area of ​​6,220 km2. It is a world's distinguish largest capital on several levels.